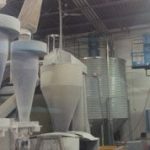 Industrial operations produce cleaning challenges like no other form of business. 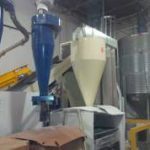 With large buildings, irregular shapes, complicated ductwork, and often-stringent hygienic regulations to consider, high angle vacuum cleaning industrial spaces are well beyond the scope of many traditional homes or office cleaning companies. MAS duct has decades of experience with high angle cleaning, general vacuuming, and HVAC system cleaning. 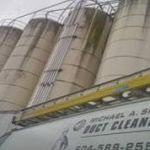 Michael A. Smith Duct cleaning provides various plant clean up services to a wide range of Industrial facilities from food grade buildings to general warehouses. Specialized jobs require equipment, training, and experience, which is what MAS Duct Cleaning Services brings to the table. 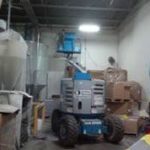 Our industrial cleaning team has job specific training such as aerial lift, fall protection, and lockout. During our first site visit, we will do an initial site hazard assessment in order to put together a project safety plan to ensure we have the right personnel and equipment to safely and effectively complete your specific project. We’ve been an industrial cleaning company for twenty years, with a long track record of success. In that time, we have an unblemished safety record and a Gold Star status with WorkSafe BC. We are also fully licensed, and insured with all appropriate agencies. We offer an unconditional satisfaction guarantee to all our customers. Your facilities, no matter their size or complexity, are in good hands with MAS Duct Cleaning Services. We have the flexibility to provide services for “one-off” projects or we can offer even greater savings by putting together contracted service plans with regular maintenance visits. We can set up a schedule that works for you – even overnights or on weekends – to keep your plants hard to reach places clean and hygienic. It’s the best and most affordable way to ensure you have a working environment that’s safe for your workforce, as well as being conducive to the creation of top-quality products. The MAS Industrial team can handle many of your large or small Industrial cleaning projects. Contact us to discuss your cleaning needs for today and the years ahead.